Using gardening as a metaphor for living... 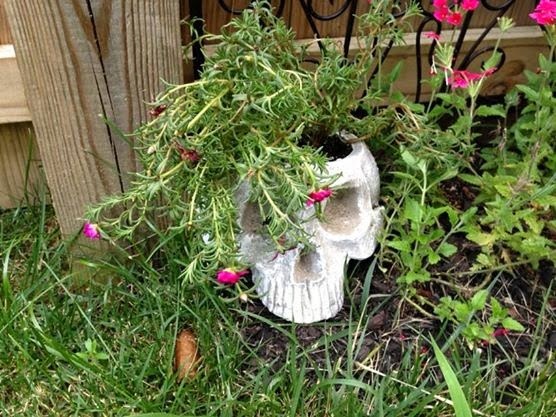 This blog is how some plants & flowers, creepy things, and the dead brought me back to life. 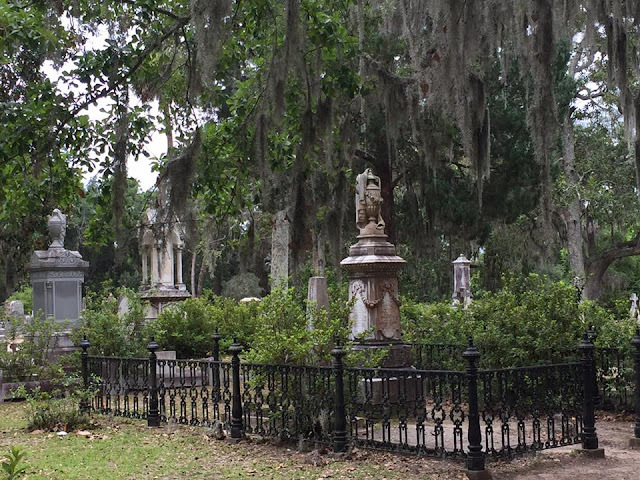 Nearly a month ago, I started writing about my Savannah vacation but I have not had much time to sit down and reflect because almost immediately I headed off to Chicago for a work conference (where I took an excursion to Graceland Cemetery), and then to our Colonial Williamsburg family (my fella and me!) vacation. 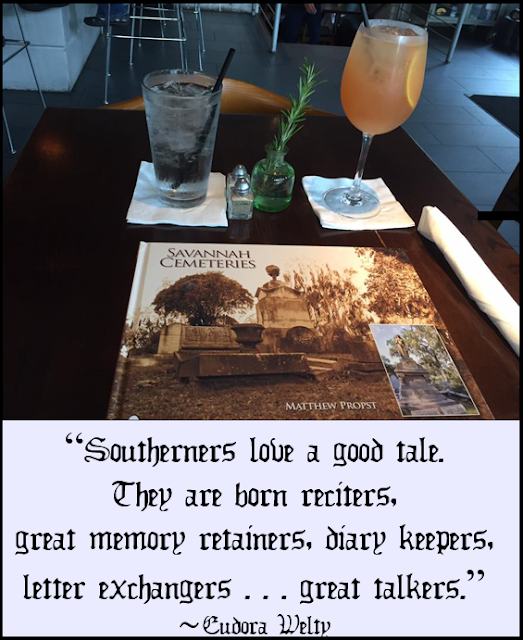 While I’m working on research for a marketing course in Public History, I thought I would take a moment to reflect upon my Savannah trip. 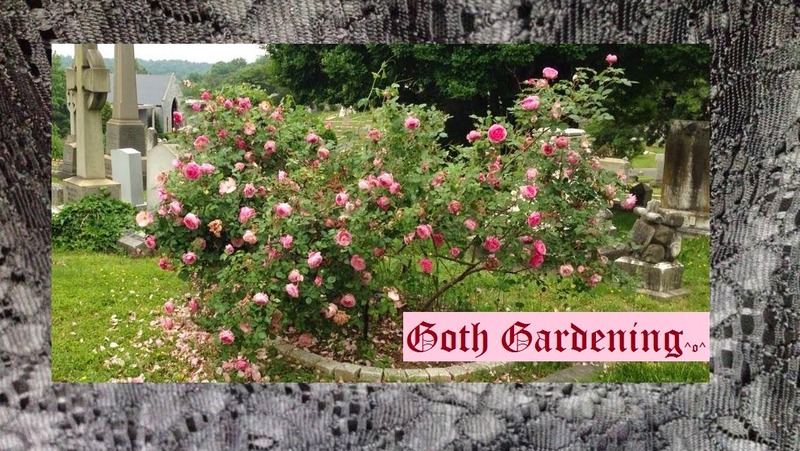 As I wrote in the previous post, I needed a good gothy vacation. This is my first real summer break in years, and while I’m continuing to work on academic publications and projects, it has been so nice to get away from the day- to-day grind. 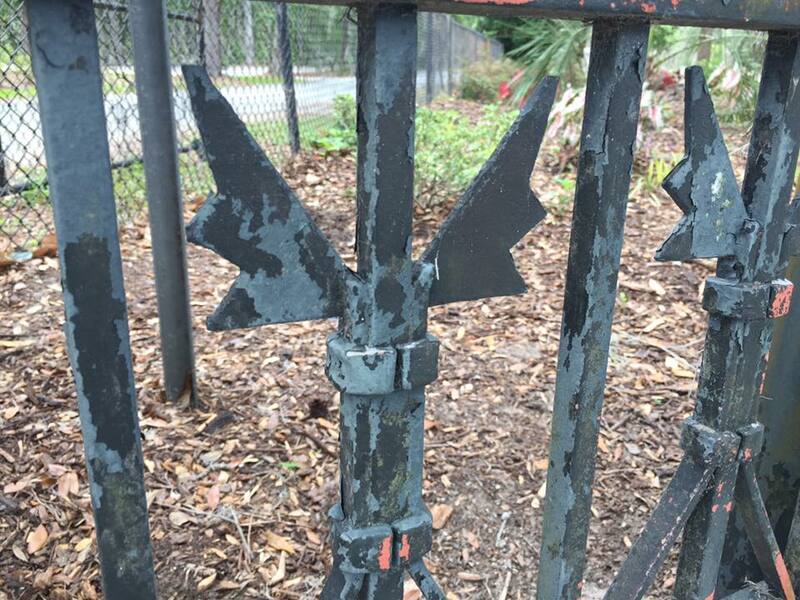 Our tour guide explained the symbolism of the cemetery gate including the "bats" design to represent hell! I began my trip like any good English professor/ tourist traveling to Savannah. 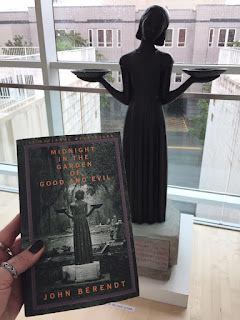 I watched and re-read Midnight in the Garden of Good and Evil. As soon as I arrived, I attended The Beyond Good and Evil Tour at 10pm, which I discussed previously. Even after driving seven hours south from Richmond, I knew that I would be wired. The next morning, I skipped breakfast at the Amethyst Garden Inn because they only served breakfast from 9-10am and who has time to sit around waiting for breakfast!?! It was a lovely B&B but I would not return, especially since mid-trip I had to change inns, which worked out better for me in the end. That will probably be noted in the next post. 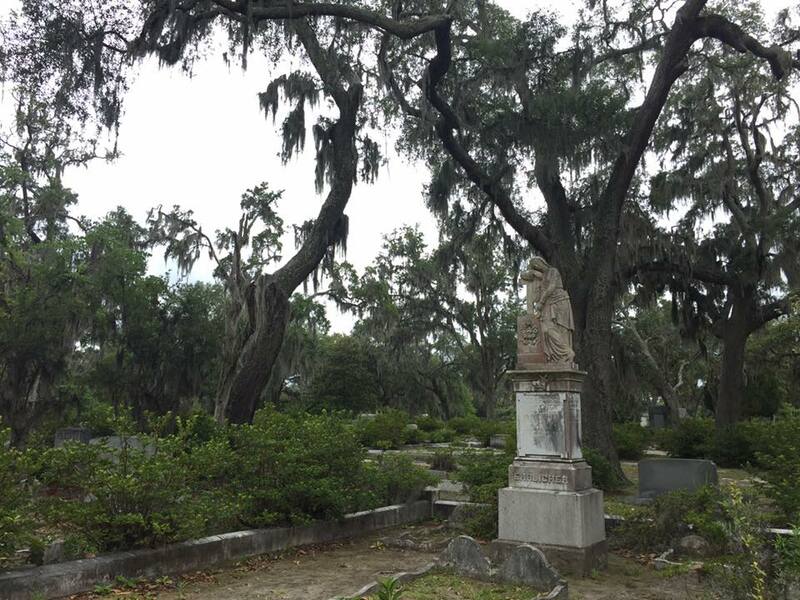 Just a quick aside, Spanish moss is basically an air plant, which absorbs water and nutrients through its leaves from the air. It rarely kills the tree that it grows upon but because it can become so dense it sometimes offers too much shade to the tree's leaves, which can lower the tree’s growth rate. At Bonaventure, I also found a buddy! During the Bonaventure tour, a woman named Janet and I realized that we had also been on the The Beyond Good and Evil Tour together. We discovered that we both have a thing for vampires; we’re both language-educators; we’re both taphophiles; and, we were both women traveling solo, which I think is awesome. I am often asked if I get lonely—nope; if I get scared—not really; and, if I feel uncomfortable dining alone—not one bit. After the tour, I stuck around Bonaventure a bit longer to look around. I was so grateful to my former-self for bringing some crackers and a large Honey Crisp apple to hold me over. 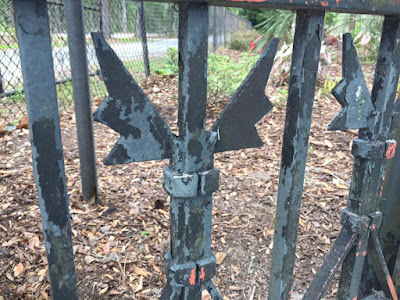 Even though Savannah is known for being a city with amazing food, and in my experience that is true, I had a hard time pulling myself away from activities. That afternoon, I headed to the Jepson Center for the Arts to see the infamous Bird Girl statue that was featured on the front cover of Midnight in the Garden of Good and Evil. Unfortunately, because of the book’s popularity, the statue had to be removed from Bonaventure Cemetery to help with crowd control. 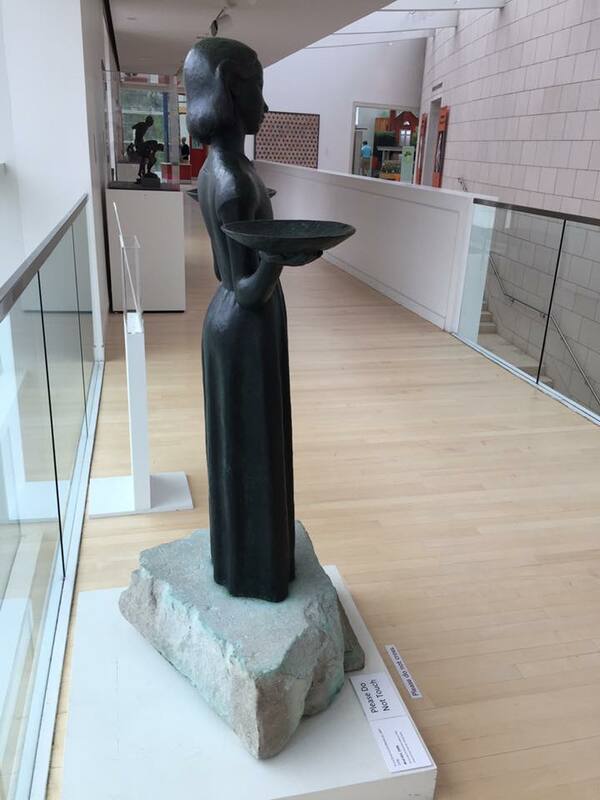 The statue was designed by the Chicago sculptor Sylvia Shaw Judson in 1936. Based on her design, the statue was intended to hold food and water for birds, not to symbolize the balance between good and evil. 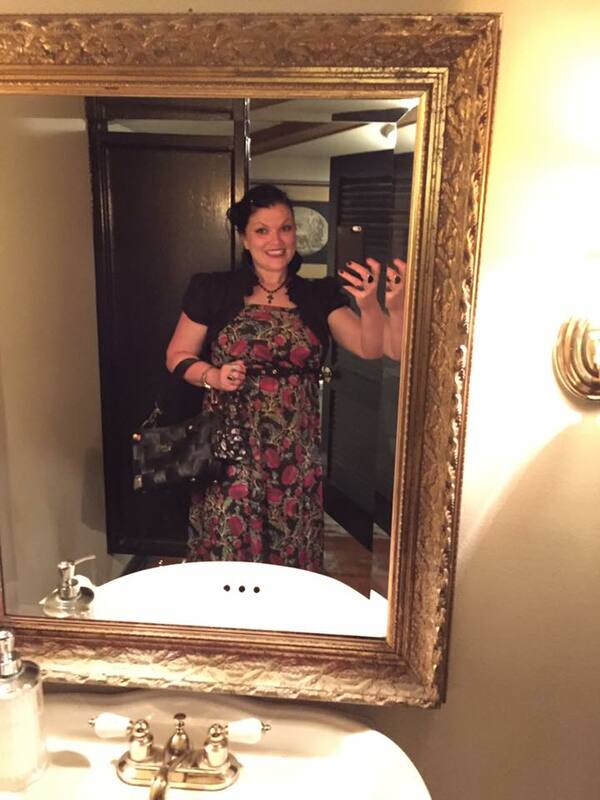 Picture taken in bathroom. My dress has a thistle print! That evening, I had reservations at the Historic Olde Pink House. As a solo traveler, I think some of the staff pitied me until they realized I was there by choice. Then they became envious. They were great conversationalists. 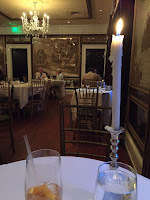 The restaurant is gorgeous and all of the staff seem willing to chat about the legends of the location being haunted. I did not see any ghosts but I'm pretty sure the tablecloth was haunted. There was a hostess who walked throughout the restaurant and every now and then would belt out a song. It was a great evening and the food was amazing. 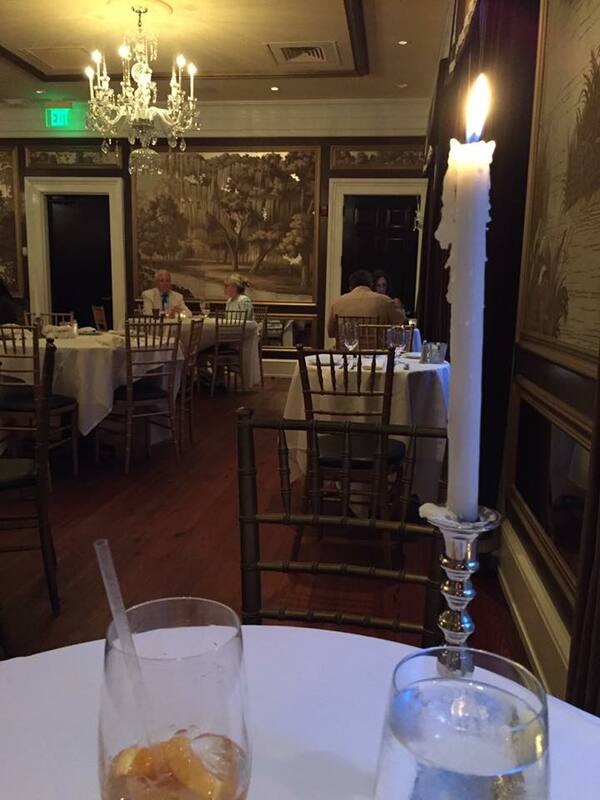 The waiter even brought me my own candlestick to add to the ambiance. Looks like a fun trip! I always felt the Spanish moss gives a feeling of stillness to Savannah, as if time is barely moving forward. Flowers, Books, and Weird things make me happy. 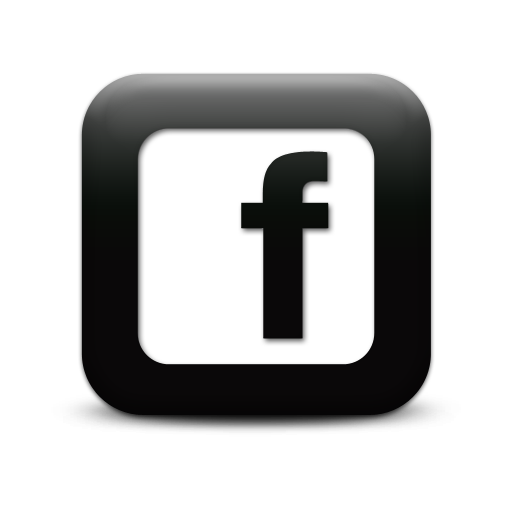 Is calling this post *Ghostbusters* pejorative? Professor Z gave us homework! Why don't I have a Dracula label?